The Texas Senate advanced a municipal annexation bill to Gov. Greg Abbott on Sunday, the fifth bill sent to the governor’s desk during the special legislative session set to end in no more than three days. 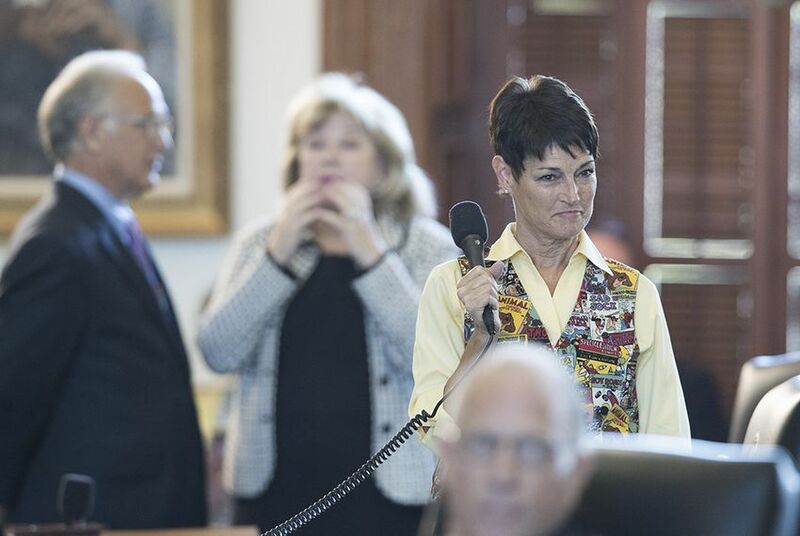 The measure’s author, state Sen. Donna Campbell, R-New Braunfels, moved to accept amendments made in the lower chamber – which passed the bill, with changes, on Friday. “Members, this is a great deal," Campbell said Sunday. "... It is a huge victory for property rights of Texans." The legislation allows Texans to vote on whether cities in large counties can annex areas outside of their limits — a contentious issue that prompted a filibuster from state Sen. José Menéndez, D-San Antonio, in May. In an interview with The Texas Tribune Sunday, Menéndez said he was glad he successfully filibustered the bill during the regular session. Had he not done so, he said, lawmakers wouldn’t have added an amendment to the bill that provides a five-mile buffer around military zones. A similar provision was included in the House version of annexation reform that passed during the regular legislative session, but that provision was stripped out in a conference committee. Previously Menéndez and other proponents of the five-mile buffer argued that land development around military bases could hinder base missions. That's why it's important, they argued, that cities don't face barriers to regulating that land when necessary — in part to make sure the nearby base's needs are considered as development expands. But Menéndez again voiced opposition to the measure Sunday, this time about how the bill would impact residents’ access to public services, like trash pick-up and police protection. He referenced a land-swap agreement between the cities of San Antonio and Converse, in particular.